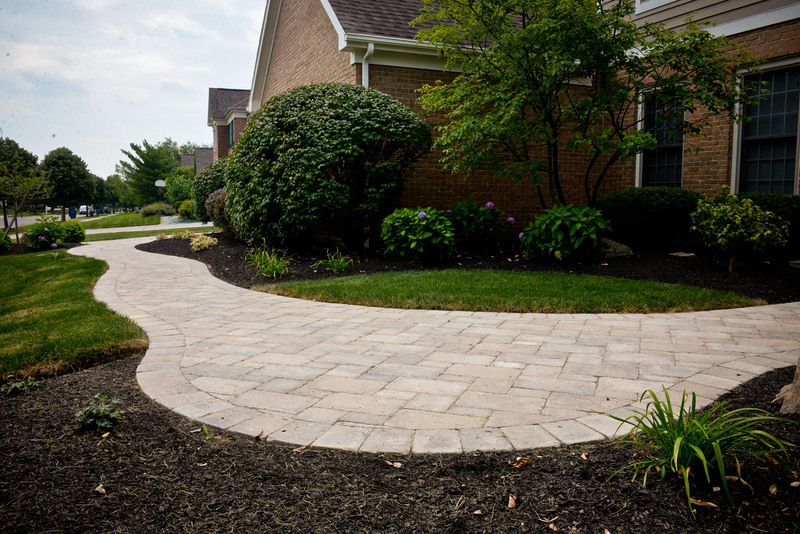 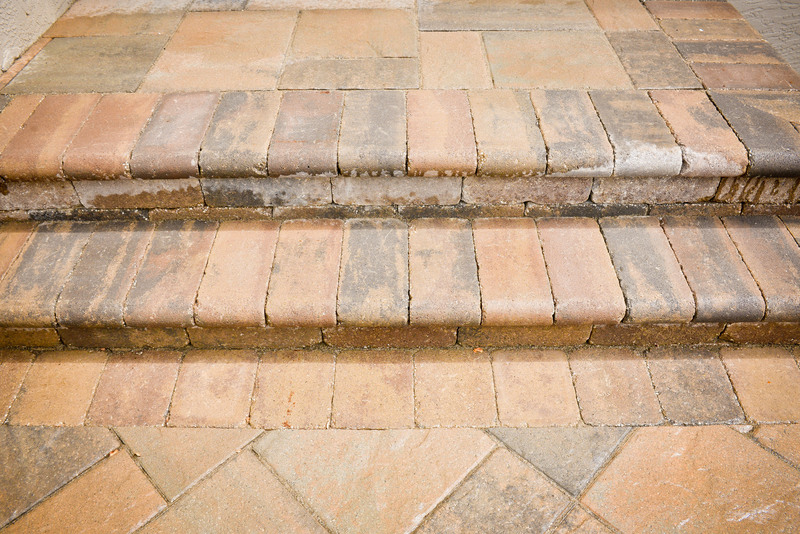 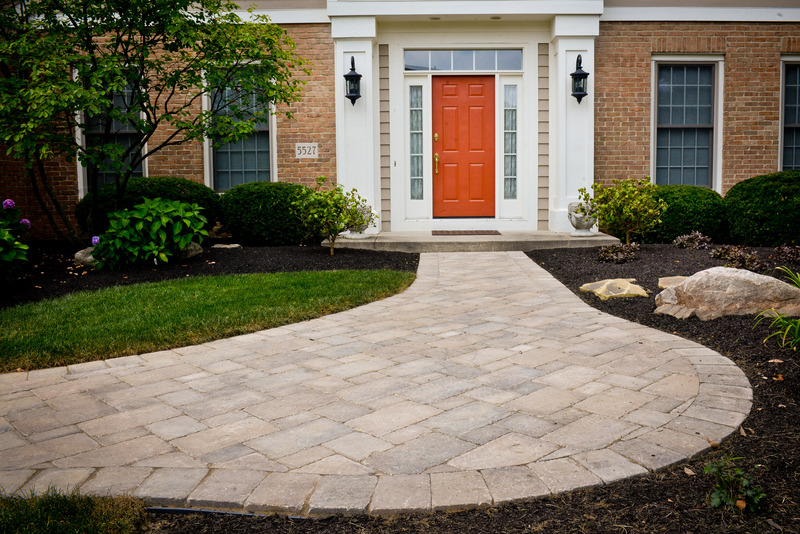 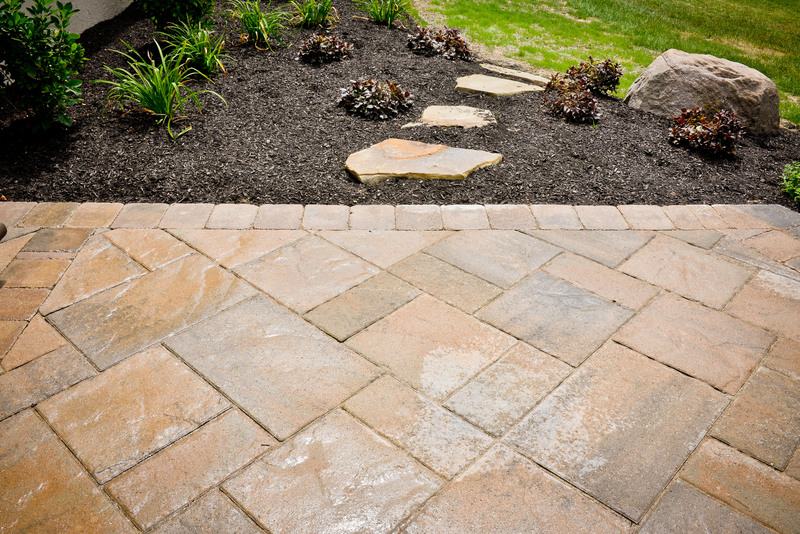 Patios and Walkways in Dublin, Ohio » Fawnbrook ln. 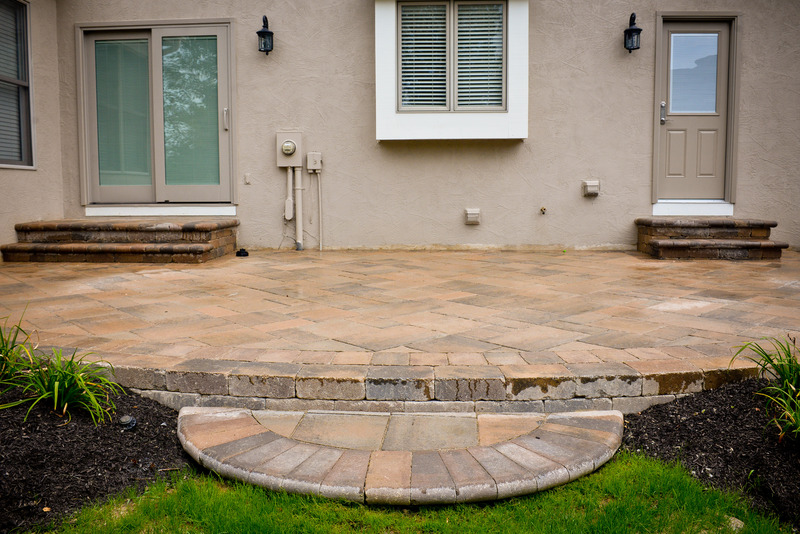 This property located in the Dublin area, we first removed both the front walkway and the rear patio. 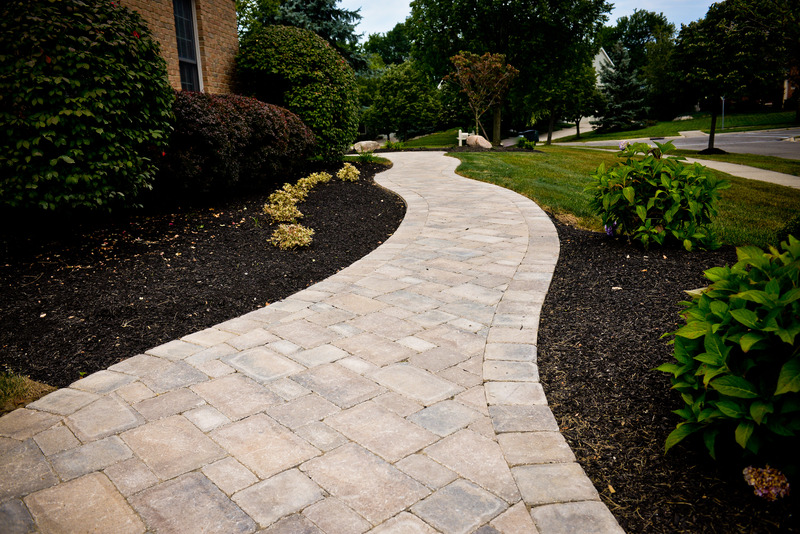 We replaced the front walkway and changed the shape using a tumbled paver and replaced the back patio as well using a smoother larger style paver. 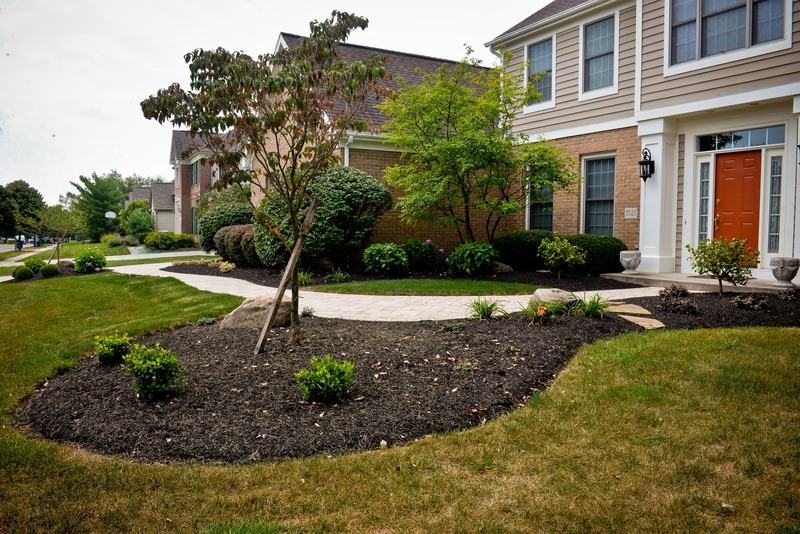 We also selected most of the out dated plant material to be remove if needed and replaced with new plant material to add some more color to the landscaping. 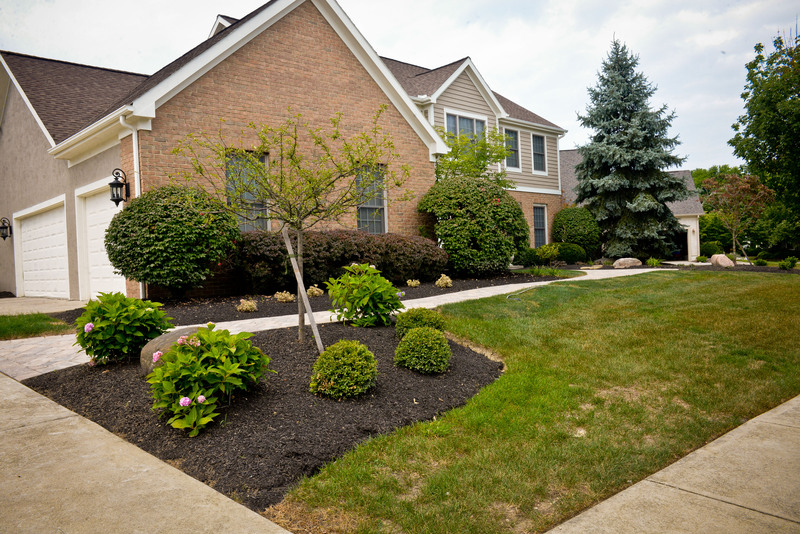 We cut down some large trees in the back yard that were around the old patio to open up the back yard and installed smaller flowering shrubs to give our client some more seasonal color. 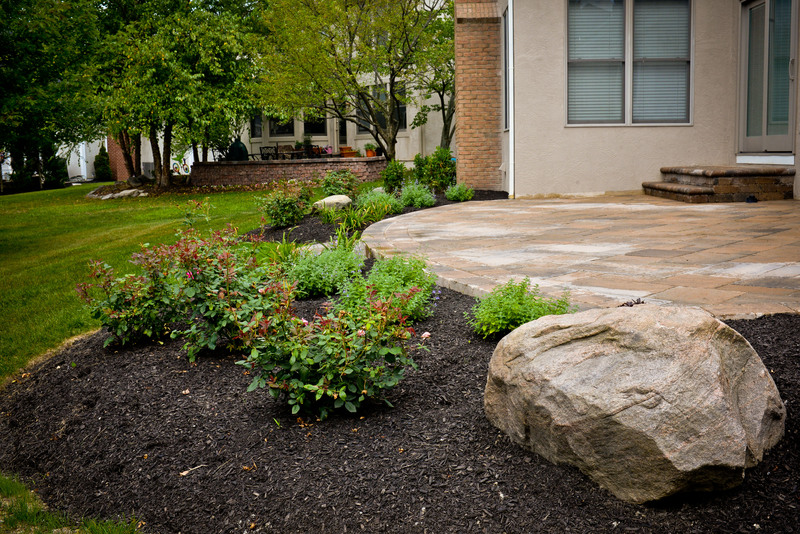 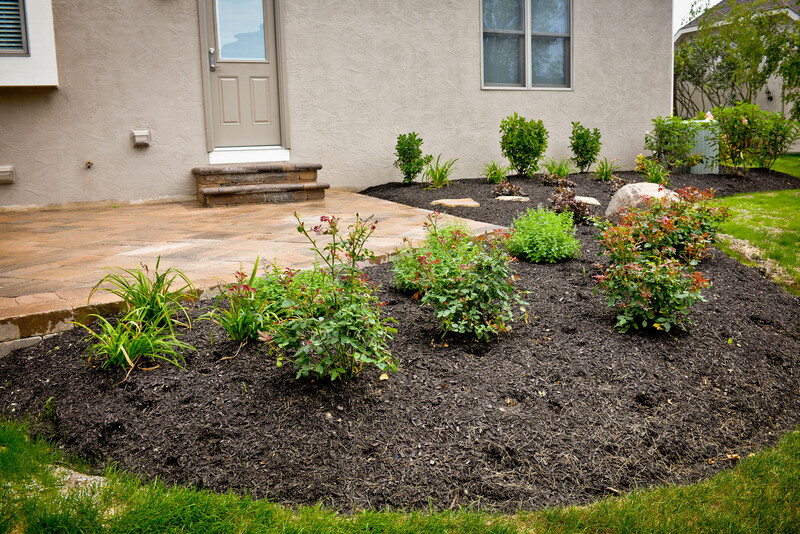 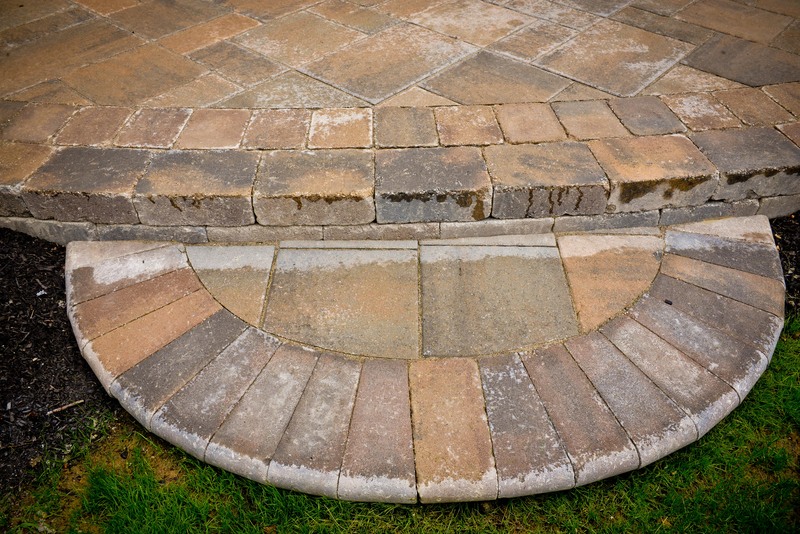 "Troy, our landscape architect created a beautiful design and was very easy to work with. 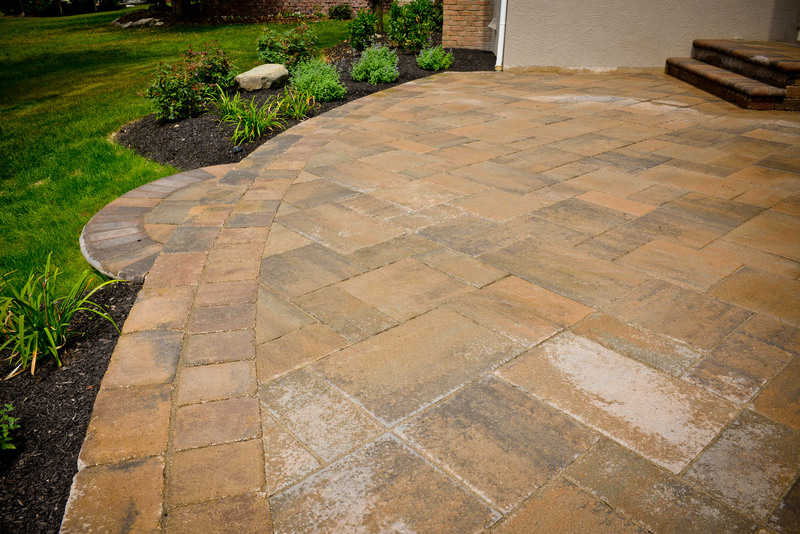 The crew was very professional, courteous, and cleaned up at the end of each work day."